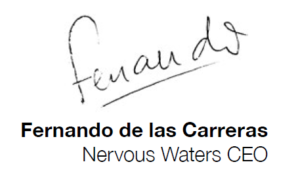 I was asked by my marketing team to write about the early days of Nervous Waters, and to share our vision and our success story. Doug Larsen, my fellow guide back in 1984 , wrote a great magazine piece about the first seasons, which you can read here. His piece featured the background of our family venture, starting with our only lodge at that time, Kau Tapen, you’ll enjoy reading it, and the story summarizes how it all began. Many people who are entrepreneurs, and I consider myself one, tend to novelize their beginnings and success stories after they have had some success. I am not one of those people, and I continue to look forward daily, with only a few pauses from time to time to look back and appreciate what it is we have done. 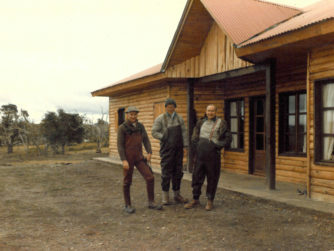 We started our first lodge as something of a family holiday hobby, building a small, 6 angler lodge in Rio Grande, Tierra del Fuego. I was one of the guides, we rented tiny cars to fish from, and I brought friends and Doug Larsen as the foreign expert to help us. We had a total of 12 fishermen the entire first season, and 18 the second. 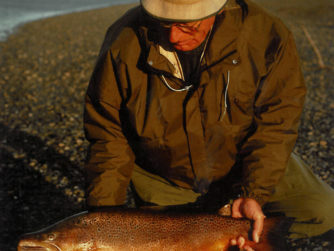 At that time the Rio Grande was thought to have the biggest sea run brown trout on earth, a fact that was clearly confirmed that first season, but more frequently in each season that followed as we were able to pass a groundbreaking catch and release law. 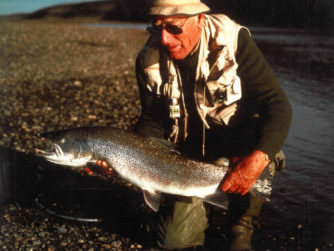 It took us ten years to do it, but the Rio Grande remains now as the only river in South America run with strict policies, and the fishing has benefited ever since it began. The view I had back then was to spend a busy summer with our family and friends and save some bucks to buy my first used car. I loved to be around fishing and fishermen, but at the time it wasn’t a priority. Making our guests happy was. I always say that if I had to choose a job in another life I would have liked to have been a butler in a big estate, like those featured in “Downton Abbey” or the movie, “The Remains of the Day,” so maybe those “butler genes” helped align my passions for service and sport. We claim to be the first ever lodge owners to have catered for ladies, and we saw that it was important before many others did. At first we did it because making women comfortable with the amenities they would find at a 5 star hotel, would allow their husbands to come back year after year. Then the ladies started fishing, and more couples kept coming, and looking back I think that was our magic recipe. We have achieved the highest repeat client percentage in the industry and we generate excellent word of mouth. Simply our great clients tell their friends about us, and then their friends come to visit us as well. Word of mouth is still our biggest marketing action today. Another good decision we made along the way was to follow our customers to their future trips — asking them where they were going next. 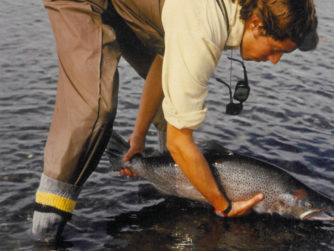 That is how we began with bonefish, trout, bird hunting and stags. 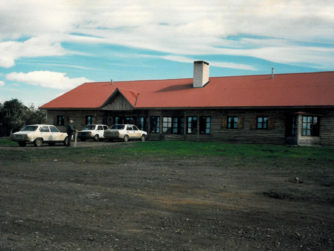 We then opened lodges in the very best locations for the particular specie. We also took some chances —we opened the first lodge for fresh water dorado before anyone knew anything about this great gamefish. The aim is not to have a huge collection of properties, but to have the best collection of properties. If a location does not provide what it was expected, we simply close it, but thus far we have only closed two ventures in 33 years, so our success ratio is pretty high. We open lodges or buy existing ones if it makes sense for our current customers, and our company aim is to worship and take care of our clients as they are our most important asset. The team theme is a huge part of who we are, we have great partners in most ventures and a team of highly trained experts at each lodge and our central office in Buenos Aires, but the idea is the same as it was in 1984. The vision then was to have fun doing what we loved in and near the outdoors, 33 years later that has not changed at all.